At a major dealer meeting in October, Ford allegedly has hinted that a Mustang-based four-door sedan would be coming soon to showrooms. Meant as a competitor to the Porsche Panamera and Audi A7, the four-door Mustang would be powered by a turbocharged V8. Forum site Mustang6G is spearheading the rumor. While a sports sedan would likely be a welcome addition to a Ford lineup that is increasingly dominated by trucks, SUVs, and crossovers, we have to wonder why the German-style four-door “coupe” is the targeted market for this potential extension of the valuable Mustang nameplate. While moving to a likely-more-powerful turbo V8 would move the already-stout engine into near-supercar power figures, the sales in this market pale in comparison to the more modest Mustang. Ford has reported at least 80,000 in Mustang sales each of the last four years, with over 122,000 sold in 2015. Conversely, the Porsche Panamera has averaged 6,277 units since 2010, whereas the Audi A7 just besting the German rival with an average of 6,567 per year since 2011. Further, the German sports sedan “coupes” have a much higher starting price – a base Panamera starts at $86,300, while the A7 starts at a more modest $68,000. The Mustang typically plays in a completely different market – $26,120 will get a basic EcoBoost model, where a top-of-the-line GT350R only begins to approach the base A7 at $65,735. We also have to wonder what a four-door Mustang would be named? Does Ford play with the horse theme, calling it a Clydesdale since it’s a bigger horse? Nope – too many beer connotations… probably best to hearken back to heritage. 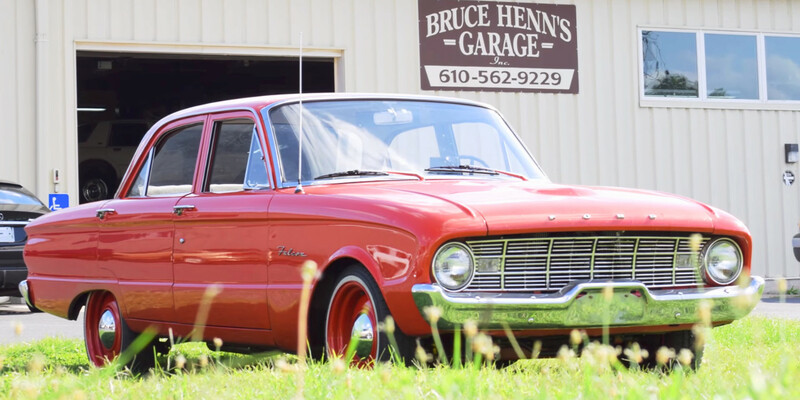 Falcon might be the best choice, as the original Mustang was a two-door Falcon. But we can see Fairlane or Galaxie 500 as two great choices that will attract fans of the shelved nameplates. We’d even welcome a Ranchero ute as a further extension of the lineup. Chris Tonn is a long-time enthusiast - and more specifically, he loves auto enthusiasm. If someone is enjoying their car, Chris enjoys it. If not behind a keyboard, he's usually piloting a minivan with kids in tow to a soccer field or the like. Ford does have a four door sedan that looks like the Mustang, except for some styling cues. It has several engine choices, including a basic turbo I4, a hybrid I4, and a V6 so Just add a V8 to the mix. It is Ford’s best selling sedan, and third in sales of all Ford vehicles, after the F-150 and the Escape. It is the Fusion! Ford has long neglected the Thunderbird. The name suggests power, performance and luxury. I have always believed Ford should build a four-door mustang called Thunderbird. There is an old-west connection between the two names. MUSTANG: 3.0L base coupe 400hp/400tq optional AWD 10-speed auto only, 5.0L GT 480hp/420tq w/ optional performance pack II coupe (w/ performance pack 1 styling kit (spoiler option), 10-speed auto and 7 speed manual transmission options, Mach 1 500hp/460lb-ft torque 10-speed auto/7spd manual, performance pack-2/GT350 suspension and drivetrain bits, more comfortable interior, GT350 5.2L FPC 530hp/450lb-ft torque, GT500-let come what may 700+hp blah blah blah! Make that last one a GRAN TORINO for. Historical sake. I owned the 4 door Mustang in the 1984 LTD LX with the 5 L V8 SHO engine. It was a perfect family car with Mustang bones. I would say it should replace the Taurus SHO and have a turbocharged supercharged V6 with manual or select shift transmission. I would opt for the new 9 or 10 speed to enhance performance and fuel economy. And adding the flat crank would open it to performance possibilities. Now you would have a car for the family man who has to put an infant seats in the back. By the way, the Falcon was a VW fighter and won the battle! Our family doctor drove one into the ground serving the Amish in NE Ohio. It was reliable and trustworthy, just like his horse and buggy it replaced, until it rusted out like all cars in the era. If he had lived, he would have had a Focus, which also has good bones. Keep the THUNDERBIRD what it became, a luxury car for the senior former Mustang owners to drive to and from the retirement home. (like the Lincoln town car). My initial statement last night was about Ford simplifying their line up and having an awesome lineup. It’s obvious that people still crave v8 powered vehicles just as much if not more as people want hybrids and electric cars. Ford Flex: Keep it, RWD platform with AWD option, 3.0L base 400/400 A10, 480hp 5.0L V8 option, AWD with option to turn off FWD, A10, performance drivetrain, Brembo brakes, same boxy styling, Front end should more resemble a modern rendition of the 1971 F100 pickup, This is the crossover to keep if your going to keep a crossover. Raptor: 600hp 5.0L supercharged A10 4×4, upgrades to raptor suspension to handle extra power, bigger brakes, quad tipped exhaust. does not need to be a desert runner anymore, needs to be a [email protected]$$ off road performance trail runner that can handle the streets and fight with the upcoming TRX. No one dune jumps or desert runs. Harley Davidson: 600hp 5.0L supercharger A10 AWD magnetic ride Brembo brakes, luxury interior & exterior, short and long bed, all cab models, lowered, 24×10″ wheels, two tone paint, quad tipped active exhaust exiting after the back wheels out the corners, hard bed cover, privacy gorilla glass, Limited level interior w/ specific HD theme, LED smoked red tail lamps, dark housing LED headlamps, satin finish grille, etc. F-Series Super Duty: 510hp/1000tq V8 twin turbo diesel, FRPP performance upgrades (intake, tuner, exhaust, turbo upgrades, suspension, drivetrain, wheels, etc. needs an Off Road variant w/ 35″ tires & 4″ lift. Also Lincoln needs some major upgrades. A Mark X sedan based on the Torino but with more luxury would be a good place to start. Take styling cues from the current MKZ, add mustang-like headlamps, a thicker LED taillamp, a more pronounced rear spoiler, wider coke bottle shape, a more angular lincoln grille, a mustang inspired lower fascia design, GT350 sized Brembo brakes w/ silver calipers and metal rotors, AWD, A10 trans, performance luxury suspension (Think AMG) Black Label Performance package which offers a higher performance suspension, performance (Corsa) Active exhaust Bigger brakes, lightweight 20×9.5″ wheels, dark grey calipers w/ red lincoln star engraved, satin black grille, black/red lincoln star grille and trunk emblems, gorilla privacy glass, Recaro luxury performance interior, alcantara and soft leather, heated/cooled seats and steering wheel, digital dash, performance stereo, FLIR night pedestrian detection, power fold/heated mirrors and things like that. The Aviator needs the same kind of package as well and rival the Jeep SRT-392 in performance and comfort. Of course you will still have your electric cars, your hybrid cars, etc but you will also not loose the interest of your other car shoppers who are interested in performance v8 cars & trucks. Also with this you cut costs by eliminating a lot of R&D and manufacturing materials for several different engines and drive trains, plus you now have everything on capable chassis since they are all RWD based which means you have happier customers because your cars will handle better, drive better, ride better and with AWD, they’ll handle better in the snow than a FWD based AWD system will. Sorry forgot 2 things. Base Torino should be Torino LTD. Ford GT should be replaced by a 2 seater thunderbird sports car to take on corvette with a fpc twin turbo dohc v8,awd dct, front midship engine design like Nissan GT-R, etc. dream lineup…..ABSOLUTELY!!!!!! R&D bill being huge, not so much. Most of this stuff is already in ford’s inventory anyway. Even if they decided to not use a 5.2L in cross plane crank, the 5.4L stuff is still out there make it a 5.4L V8 with a hot coyote top end, No biggie! All of the parts i listed were a mish-mosh of stuff ford already has. And if Ford is planning on making this CD6/S650 chassis some type of Modular chassis, then most of these vehicles would go on this platform with no problem. Dodge has been making the 300/Challenger/Charger/Magnum on the same platform for years. The Mustang/Torino/Explorer/Flex wouldn’t be any different except for this CD6 platform is supposed to be versatile for FWD/RWD/AWD setups (not that FWD is ever really needed for anything) Ford would have basically 3 or 4 platforms, the CD6, a light truck platform, the F150/Expedition platform and a an HD platform. Sorry, i forgot a platform for Electric vehicles. But what ford and GM both need to do is cater alot more to their fans because fans are consumers and consumers bring companies money. It would be nice if car companies started listening to us because we’re the ones who actually want to buy their cars and we have ideas that we’d like to see in their cars and it would make them more desirable and more profitable all at the same time. I hope they are targeting the Panamera and A7 in packaging and restrained sales projections more than in price. If they make a 4 door mustang with no more price increase than is necessary for the extra size and doors….then It’ll be at the top of my wish list… ahead of the Stinger and Charger. If it’s only a top trim affair like the SS Sedan was….then count me out. Lincoln MKZ is a four door Mustang in a sense. They know how to make the dimensions work. I don’t buy that they are targeting such low volume competitors as targets. They have established that if the volume doesn’t work then Ford doesn’t want it. So if they are doing it it’s beca they see volume potential. I like the Thunderbird name but everything else I’ve read sounds like old guys trying to relive their glory years. It’s a business decision not some walk down memory lane. In fact I think I’d just call it a four door mustang. That logo has swag and the guy or gal who has to add a couple of doors might love it. The Lincoln MKZ and the new Continental are both based on the Ford Fusion. This is why Ford must keep the Fusion and add more performance to it, so it can be Ford best selling Sports sedan. I took a little bit of time to re-examine somethings about the Australian Ford Falcon and Ford’s in general overseas. The Ford Falcon is an amazing vehicle (a fact i’d stumbled upon in roughly the 2013-era) and was Australia’s Ford Performance vehicle. Now if Ford is planning to release a Mustang based sedan the Falcon would be a great idea For the US Market. Basing the vehicle on the CD6 or S650 Chassis is a great idea to keep it lightweight and nimble as it should be a little lighter than Dodge’s Charger similar how GM does with the Alpha platform which is why Chevrolet’s Camaro is a true Predator, but i digress. Building on the Coyote 5.0L V8, the Falcon GT should have an entry level 5.0L V8 pushing out 480hp/420tq like the current mustang Bullitt. This should not be the entry level engine but the entry level v8. A few years ago, Ford had a beautiful mid sized V8 called the 5.4L 330ci V8. In 2000, Ford introduced the 2000 Cobra R mustang underrated at 385hp/385tq. When Dyno’d the Cobra R actually put down nearly those same numbers so we know the engine was actually about a 420hp engine. For perspective, the 5.0L Coyote Gen-2 runs about 360-375hp on a Dyno and it’s rated at 420hp but the torque numbers of the Coyote are much lower on the dyno than that of the Cobra R in 2000. My theory is this. If Ford took the current Gen-3 coyote 5.0 up to 5.4L, used the Shelby GT350 intake manifold, the FRPP GT350 style heads and Cams for the regular crank engine, used the new dual injection system, GT350 style exhaust manifolds and an active exhaust system should put the car at about 530hp naturally aspirated. 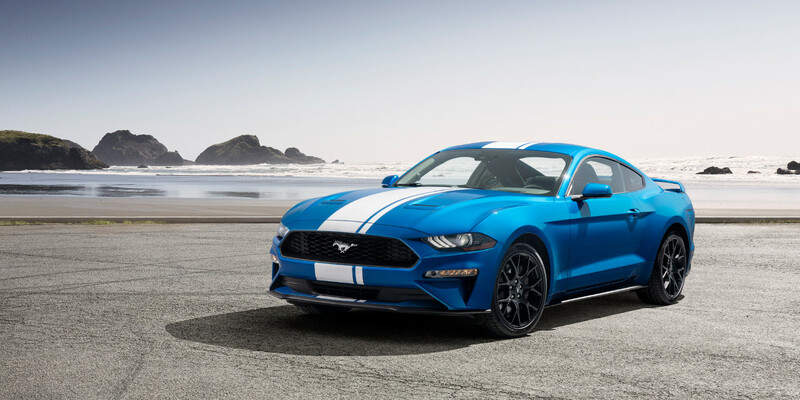 Along with that, a 10-speed automatic, a 7-speed manual option, a similar IRS system setup that’s on the current mustang, the GT350 rear cradle and axle system, Brembo brakes, different suspension options including a magnetic ride suspension system, an optional AWD system on all models, would make the car an attractive vehicle with a smaller displacement V8 engine than the GM/Mopar counterparts and with a lighter chassis, AWD optional drivetrain on the high performance V8 models, a more fuel efficient drivetrain than the 8-speed torqueflite, and a few other things, it would rank in as the better high performance sedan option. This naturally Aspirated “Gyrfalcon” would be more on the level of the Charger Daytona-392. A top of the line performance Falcon GT-351 would have a revised version of the Trinity 5.8L Supercharged V8 pushing 700hp and would better match the Hellcat except it would be an AWD car with a 10-speed automatic. Slotting under the 5.0L Falcon GT should be the Falcon Fairmont, a luxury-sport 3.0L Twin turbo 400hp/400tq V6 AWD sedan that features sport tuned suspension and equipment but with a focus on style & comfort. The base car should be the Falcon XR7 (ties to the Mercury cougar XR7 turbo cars of the mid 1980’s) with a 2.3L Ecoboost Hybrid producing 375hp/380tq combined. The 310hp 2.3L Turbo should be mounted longitudinal with a 65hp electric motor powering the front wheels. a Falcon Sprint model should be optional on the 2.3L Hybrid base car with a sportier ride and sportier equipment. As far as the styling goes on this car, Being that the car is Mustang based doesnt mean it has to look like a mustang. Obviously aggressive styling cues such as the headlamp design, grille design and bumper design of the current gen Mustang should be present, but not directly pirated. The darth vader helmet inspired front fasica should be slightly altered to fit the different lines of this car and obviousy the Mustang grille should be there as well, the Headlamps could keep the same basic shape but the LED lighting pattern should differ and the gills should be gone. The dual scooped hood design from the ’73 Australian ford falcon (or the ’71-’73 Mustang Mach) should be used with a power dome hood design. A performance pack Spoiler should be offered on the V8 cars with an optional spoiler similar to the 2019 GT350 spoiler should be used as well. What this car should not do is try to be a full fastback or liftback sedan like the Stinger or Audi A7, that is ugly. I do agree that the sportsroof design is a great design, but is should be something similar to the 1973 Ford Falcon (or 1970-71 Torino), where the car still has an actual trunk. As far as the rear taillamps go, a three-section design is fine but if you’re going to go “mustang inspired” i would recomend the 67 Shelby taillamp design where the taillamps go all the way across the trunk( Best taillights on a ford-EVER) but in doing so, they need to be an all LED design with a better element of cool to them (black housings, red LED lighting w/ smoked lenses). The rear fascia needs to have a slighly recesessed trunk pannel like the current mustang for this design to work and the lower diffuser needs to have options for quad tailpipes. Wheel options should range from a base 17×8” wheel wrapped in 245/50R17 tires on the XR7 with wider 255/45R18 tires wrapped around 18×8” wheels on the Falcon Sprint, The Falcon GT should come standard with 18×8.5” wheels or optional 19×8.5” and 20×9” wheels wrapped in 265/45R18, 265/40R19 and 265/35R20 tires respectively, the Gyrfalcon should come with a trio of 19×10.5” front/19×11” rear wheel options wrapped in 275/40R19 front and 305/35R19 rear tires along with a lightweight track option 20×10” wheel option front and rear wrapped in 305/30R20 tires at all four corners for maximum grip. The Falcon GT351 should come standard with 20×10” wheels wrapped in 305/30R20 tires with a stickier compound, lighter wheels and a few other GT351 specific things. The Falcon Fairmont should have a range of wheels from 19×9” & 20×9.5” wheels (with a Futura limited model having a specific polished or chrome set of wheels to go with an upscale feel). The inside of the car should blend comfort and performance. The Falcon Fairmont should have an abundance of features similar to what most Ford “Platinum” vehicles have while the Fairmont Futura model should rival the F150 Limited in lavash luxury and Tech. The Falcon XR7 should be the basic model with cloth seats, standard 8-speaker stereo system, SYNC, and things like that. Obviously the GT351 should be equivalent to the GT500 while the Falcon GT should be equivalent to the Mustang GT, the Gyrfalcon however would be the most expressive of the lineup (similar to the Charger Daytona-392). The Gyrfalcon sedan’s interior should feature a 12” LCD dash display similar to that of the mustang but specific to the Falcon. The dash design should be a modern rendition of the classic design (like what the mustang does) but like the Torino, only have the cowl sticking over the driver’s side cluster and the speedometer should be horizontal from 0-180 in the center of the instrument cluster, while to the left you have a round tachometer display and to the left your other displays (fuel, temp, oil pressure, traction control, seatbelt, etc) would be in a circular gauge display. In the center of the dash would be the new 12” infotainment touch screen with the latest of Sync software, navigation, drive mode controls & HVAC/climate controls with a corning gorilla glass touch screen on both the instrument cluster and the infotainment screen, the car should feature the optional B&O 16-speaker stereo system to match the performance-oriented nature of this vehicle. Also, the steering wheel should be similar to that of the mustang but with a heated/cooled Alcantara and leather D-shaped steering wheel with thicker, perforated grip pads and a better set of Recaro seats that have the Alcantara centers that are heated and cooled with a thicker, wider design that will still hold you in place but coddle you on a long ride. I would really love for Ford to make this a true enthusiast’s car like they did in Australia, but better. What I mean by that is that I would hope that Ford would have factory options that can be added to the car right from the dealer and keep the warranty but be by certain aftermarket companies. I would love to see ford partner with companies like Whiteline for the suspension upgrades (even with magnetic ride), X-force for the Ford Performance exhaust with the first ever set of street-legal long tube headers and cats (at least mid-length), AFE for a factory performance cold air intake, ROH for wheels and companies like Rockford Fosgate or MTX for the stereo upgrades. I’d also love to see them offer the performance parts in a package with a Ford Performance Pro-Cal tuner so that everything could be added as an after though if the customer wanted to do so. Also, offering this car with Corning Gorilla privacy glass on the sides and a PPG gorilla anti-glare windshield for better night driving. All of this and it should still undercut the price of the respective charger models by a minimum of $3,000.00. The car would sell in sheer volume and it would give Ford customers something to be proud of. It looks like a Taurus.